MJS Commodities is a leading privately held international trading company and a subsidiary of MJS Global Group. Our team has 200+ years combined experience in the procurement and delivery of commodity products and services. We specialize in the handling of every element involved in the international trade of physical commodities with the focus on high-quality agro products, precious metals, polished diamonds and gemstones, solid and liquid fuels, and hydrocarbon-free 100% biodegradable packaging we move soft and hard commodities from remote locations to where they are most needed – reliably, professionally and efficiently. We operate, market and advice on multiple raw materials to various client segments around the globe, whether they are import-export businesses, financial institutions, governments and private investors, through the supply chain and bringing them wherever needed. Our thoughtful services, diversified product lines, and relationships are advanced with integrity and honest straightforward dealing and go to great lengths to ensure professionalism, excellence, and peace of mind. Whether you’re a producer, an existing or potential partner in government or business, or an end-user we have the focus, passion, and commitment to get you closer to your markets. We value the success and accomplishments of our principals as we value our company and people. By combining both of our visions, the results are limitless. Our attitude is making all possible efforts, instead of deeming it impossible, with a conviction to take the business deal to successful completion to enrich both our clients and our societies. For over 5 centuries, Antwerp is the heart of the global diamond trade and the diamond capital of the world until today. The diamond trade in the port started nearly 500 years ago when the first rough stones were brought over from India. Gradually, local diamond traders rose to prominence with their attention to detail and exuberant selection until even the King of France, François I, started ordering his diamonds from the master cutters in Antwerp rather than in Paris. Today, around eighty percent of all rough diamonds pass through Antwerp on their way towards becoming earrings or other pieces of jewellery. Daily, 220 million dollar worth of diamonds are traded, adding up to an amazing 48 billion dollars annually. On a surface of less than 1 square mile, more than 1700 diamond traders are active. No other city in the world houses four diamond exchanges, controls 84% of the world’s trade in rough diamonds en 50% of the trade in cut diamonds. Every diamond in the world passes at least once in Antwerp! 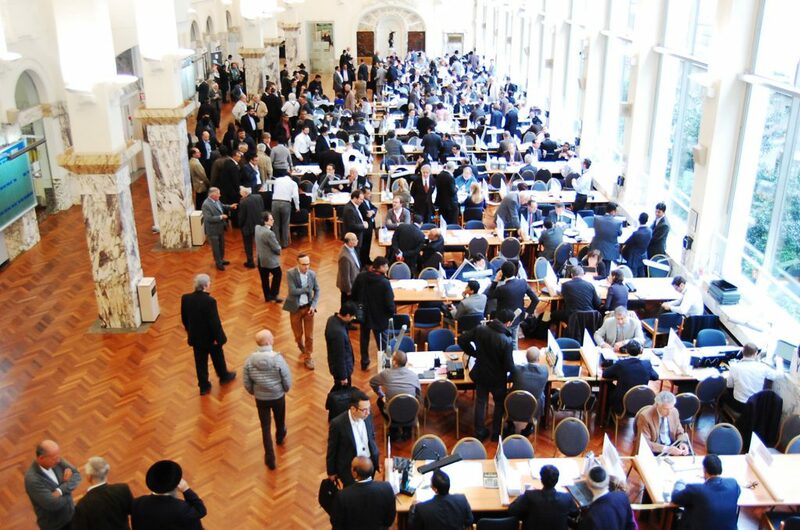 Established in 1973, the Antwerp World Diamond Centre (AWDC) is one of the world’s most renowned private companies that officially represents and coordinates the Antwerp diamond sector. Located in heart of Antwerp in the Hoveniersstraat, it directs the import and export of diamonds in and out of Antwerp. Antwerp is home to all major diamond mining companies, which sources diamonds for thousands of diamond dealers across the globe. Since the approval of the Kimberley Process, Antwerp fulfils the role as the global moral leader in transparency and compliance. In collaboration with competent government agencies, all diamond import and export is physically controlled by the Diamond Office, which serves as an example to many other diamond centres in the world.